One of my top ten videos that still gets watched several times a day, the throwdown of Netflix, Hulu, and Amazon is still the most popular of my videos. What’s more amazing is that people still ask “Which one should I get”? Lots of changes since I first did this review, so I thought it was time to update it and see what these services have to offer! What Platforms Can Access Netflix, Hulu, and Amazon Prime? Before we go forward, let’s get this out of the way – All three services can be used on laptop, desktop, Roku, XBox One, PS4, Fire TV, and finally, Apple TV. You can get all three services on certain Smart TV systems, but keep in mind, this can change at any time depending on contractual agreements. Since 2014, Netflix service has not really changed too much, well, except for their prices. You can still watch movies, TV shows, and Netflix originals. Of course, this is a simple subscription service. Content will come and go, and the only thing you can do is watch what’s on the service. There have been a lot more originals added to the lineup, from reboot shows like Fuller House, to new originals such as Stranger Things. Netflix also has beefed up original movies like “Bright”, Naked, iBoy, Pee Wee’s Big Holiday, XOXO, and more. They have also beefed up their comedian specials, and a series called “The Standups”, which highlight new comedians. Netflix does have an offline option on your iOS or Android app. This is perfect for long flights where there is no in-flight entertainment. Prices start at $7.99 a month for a simple SD video feed, and $10.99 for HD video. Since I have own a 4K TV, I look toward the premium, which is $13.99 a month, but I can watch up to 4 screens at a time. If you have the T-Mobile service, basic Netflix is a perk for you. You can also use Netflix through your Dish TV DVR service – although you still have to pay for it. Now back in 2014, I was stymied as to why Netflix didn’t have a “Buy it now” feature, or other ways to bring extra revenues to the service. I still think Netflix is missing on this boat, and need to find a way to bring people in for more. The reality is, if they lose a majority of studio labels, the only thing they can do is counter with powerful originals and buy up older movies. Let’s look at Amazon’s offerings since 2014. They also let you subscribe to HBO and Showtime. You can also get Starz, Britbox – which is a range of TV shows from BBC and ITV in England (Including the first 25 seasons of Doctor Who), PBS, Sundance, and a lot more. You have new original TV like Red Oaks, Mozart in the Jungle, Goliath, the Grand Tour, and Transparent. Original movies like the Big Sick, the Lost City of Z, Crown Heights, and more coming soon. Amazon Prime also has 2-day shipping, Whole Foods discounts, unlimited video streaming, the ability to download to phone or tablet to watch offline, some music streaming, unlimited photo storage, Amazon Elements for new parents – a series of baby products that meet many standards. Not done just yet. You also get Dash buttons, one e-book a month, free books and magazines, audio books, ad-free Twitch – the video gaming channel, and a ton of other stuff. And there is still more. There have been rumors that Amazon is poising to compete with YouTube on original VLOGS and content like the Geekazine channel. It makes sense, since they have Fire TV and their popular Kindle tablets. Add in the Echo line of hardware, you can control your content through simple voice commands. Prime is charged yearly at $99 – or $8.25 a month. Be on the lookout for possible Prime discount subscription days where in years past you can get the service for $20 less. I do have an affiliate code you can use by going to geekazine.com/prime to sign up, or geekazine.com/amazon for purchasing everyday items. There is a major disadvantage, but only if you cannot control the urge. Back in the day (and even nowadays), some have what’s called “Home Shopping addiction”. With Amazon wanting to put everything in one walled garden, you might suffer from “Amazon Prime addiction”. This can be anything from binge watching shows, to ordering more than what you can afford. The only other issue is having to scrape up $99 a year. When I recored in 2014, the price was $80, and jumped to $99 by that summer. So unless the subscription model accurately covers it costs, I am expecting Amazon to raise rates again by end of 2019. And if you are on a MetroPCS plan, you get a free year of Prime. Just one year, though. Hulu has done some impressive things since 2014, but there are some concerns this service might change dramatically now that Disney is purchasing Fox. Back in December 2017, Disney announced they will purchase 21st century Fox, which means powerhouse shows like “The Simpsons” would become a part of Disney. This is not a done deal just yet, as it will go through the Antitrust courts first. With that said, Hulu was made up of equal shares to NBC, ABC, and FOX. If the deal goes through, Disney could have the majority share, and NBC could possibly bow out at the next possible opportunity. The only way I could see Hulu being saved is if Disney and NBC Universal stay equal partners. After all, the service is more than just your next day’s DVR. Hulu launched Live channel service in March 2017. It’s a great way to ditch your cable subscription, but as I mentioned back in April 2017, there were some issues to the service, such as watching live TV outside your home network. Hulu also has add-ons such as Showtime, HBO, Cinemax, and their enhanced Cloud DVR service. Along with the no-commercial plan, you can have everything in one place. The best part about having the premium movie channels on Hulu is that content will be available to you at the exact same time it’s available to direct subscribers. Watch Ray Donovan, Shameless, I’m Dying up here, and all the other shows and movies the second they become available. Hulu also starts at $7.99, with a $4 commercial free option, $14.99 Unlimited screen option, and $14.99 DVR option – which those last two could be bundled for $20. Therefore, $31 for the lot. If you want Hulu Live TV, that cost is $39.99 a month, or $63 with no commercials, and the DVR/screen bundle. HBO adds $14.99, Showtime is $8.99, and Cinemax is $9.99. That will give you a lot of great choices in video! If you have Sprint phone service, basic Hulu is part of your plan. The only downfall is no offline content. Even the DVR service needs a Wifi connection. So no Hulu on the plane… just yet. 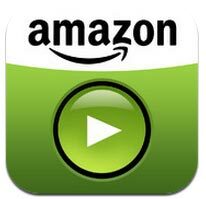 There are other services out there, but nothing equaling what Netflix, Hulu, and Amazon have. Crackle and Plex are two others. Crackle is free to watch, with commercials, and Plex is a Cloud DVR system that starts at $5/month and requires you to basically have a device that holds all your media. Another thing to watch for is how extra channel services are available. Last year, the CW network went to their own app only. I have AT&T for a phone carrier, and HBO is now included with my phone service. Therefore, I canceled my subscription on Amazon. With all that, you could easily have all three basic services for a little over $24 a month – not including taxes. I personally use all three, and could see not needing a cable service. Which ones do you have, or planning to get? Let me know!